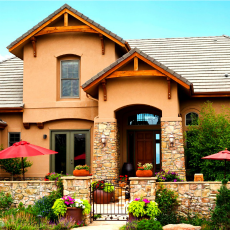 See ALL front range listings by location. 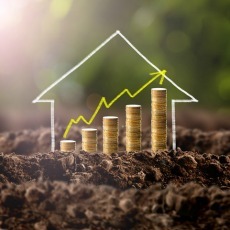 Has your home increased in value? Find out what your home is worth. Instantly. at Your Castle Real Estate! Have questions? Please call or text us anytime at 720-854-9501 That's what we're here for and what we love to do the most - help people like YOU find the Colorado real estate you need! Listing courtesy of Aragon Realty Group. Listing courtesy of MB COLORADO REALTY NOW. INC. Listing courtesy of Kamin Companies II. Listing courtesy of 1ST REAL ESTATE GROUP. "I sold our family's Denver property with David. David had a strong handle on the comps, specific advice on minor changes to the property to improve "curb appeal" as well as an ongoing strategy as the market shifted a bit on us. Most importantly David brought a cash offer that was easily $15k better than where the other active properties against us ended up closing in the complex. 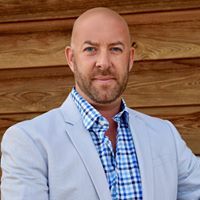 I should also mention I am a broker in another state and have worked with hundreds of agents and can vouch that David is in the top 1% of Realtors." "I have worked with David on 2 occasions. David help my mother and father purchase a condo in Lakewood and David sold my home in Littleton. He did a very good job in helping me negotiate through all of the transactions necessary. In addition David is very responsive and easy to get a hold of. He provided guidance where needed and really made both of the property events very easy. I would highly recommend David to anyone who is either selling or needing to purchase property." "David is very knowledgeable about the real estate market and did a fantastic job marketing our property. His open houses we're well attended and successful. We would highly recommend David to any prospective buyers or sellers." "This is the second time we have had David represent us in the sale of our home/s. He went above and beyond to make sure the process went smoothly. He took care of all the issues that occurred throughout the selling process and was always reassuring when issues occurred. We highly recommend David for your Real Estate needs." "This was our first time buying a house and David was extremely patient with my wife and I, no matter how ridiculous the questions were. David was always looking out for our best interest, listened to everything we had to say, and worked extremely hard to get us in the house we wanted. His personal website made the search must easier and he was able to filter all of our specifications in searching for a house so we did not have to waste our time in houses that did not meet the criteria. David was absolutely amazing at staying in contact with both of us, was extremely friendly and patient. He made this entire experience so much easier than I was expecting." "David Person combines a unique and valuable combination of talent, experience and skill that is hard to come by in today's environment. He has demonstrated each of these characteristics in ways that produce results for his clients, and his dedication to excellence brings it all together in very meaningful and productive ways. I would highly recommend Dave to anyone seeking assistance and results in the area of real estate services." "After having a string of really miserable realtor experiences, I cannot convey what a relief it was to have found Dave. Trustworthy, knowledgeable, and a genuinely great guy to lead the process. His advice was sound, consistent, and well, lived up to my expectation that a realtor actually understood the market and had intelligence. I appreciated his setting up a showing on short notice, coming prepared with neighborhood comps, and his assessment of whom else would be interested. The offer, counter, and the amend/extend contracts were drama free. I was pleasantly surprised that he was able to negotiate the seller into paying for repairs arising from the inspection. He communicated well, and I truly appreciated that he always remembered to protect my interests as the buyer. He said up front that he would take care of me, and was true to his word." "We absolutely loved working with Dave! He was patient, honest, empathetic, and very prompt. He had great advice and was really fun to work with. I will, without a doubt, work with Dave again when we buy our next home!" "David Person is AWE-some! He is truly five stars+. He really looks out for your best interest and his advice and expertise is spot on! He has been a pleasure to work with and he goes above and beyond than any other realtor I have dealt with." "We started with a different realtor and after meeting with David along with a few hours of viewing homes decided to give him the task of helping us find a home. Our particular challenge was that we were substantially downsizing, but still needed some specific items in the limited space and budget. We did exceed our original budget slightly to find the extra space required. David was on top of our expectations after our initial tour and we were able to find the perfect location within a short period of time. In addition David was in constant contact with us either via phone or email helping keep us posted on the progress of our negotiations and the subsequent inspection and closing. Thanks David!" "I would not be in my house right now if it wasn't for Dave's knowledge of this crazy market and effective guidance. He knew how to get a contract written that would win. All with a smile on his face and making the process fun! Many people had told me that I should expect the process to take many months because of today's market, but because of David, I was under contract the same day I saw the house and moved in 3 weeks later. I would highly recommend David Person." "David is very knowledgeable in all aspects of buying and selling real estate. Better yet, he is great with people in understanding their wishes and desires. He was involved in all stages of my sale and helped analyze various offers in order to ensure that all parties were knowledgible and comfortable with the entire process." "Dave is a great agent to work with; he’s thorough in all facets of the sale. What I found particularly impressive was the level of professionalism while being sensitive to the sellers’ needs and desires. He’s honest, and his professional integrity is beyond compare. He’s also a great negotiator!" "David went beyond what other Realtors were going to provide to sell my home. When we first met he was prepared and ready to go over what my house was worth compared to comp's in the area. He gave great advice on how to price my house and also provided staging so that it gave my home a great warm, new feel that attracted many potential buyers. He was extremely responsive to my needs and time frame and got back to me right away. I sold my house in 3 days, even before we had an open house!! I would highly recommend him if you are in need of selling your home."